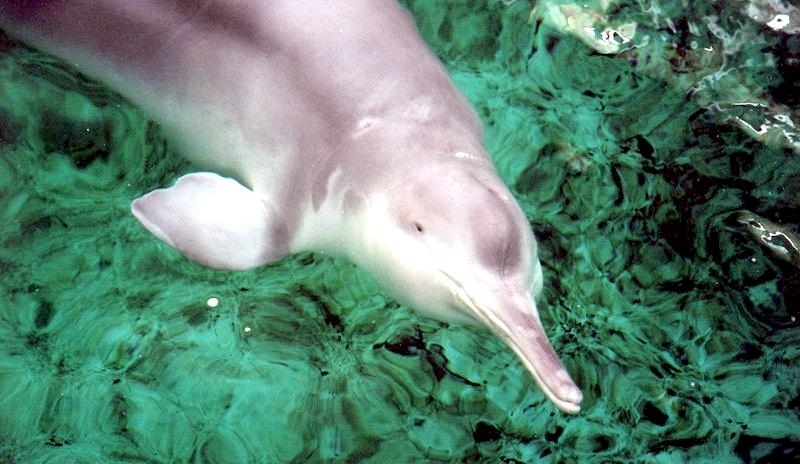 The Baiji Dolphin is also called the Chinese White-fin Dolphin or the Yantze River Dolphin. Its name in Chinese Baiji, means “white dolphin” and is known by the nickname of “the goddess of the Yangtsé” regarding the river that it inhabited. 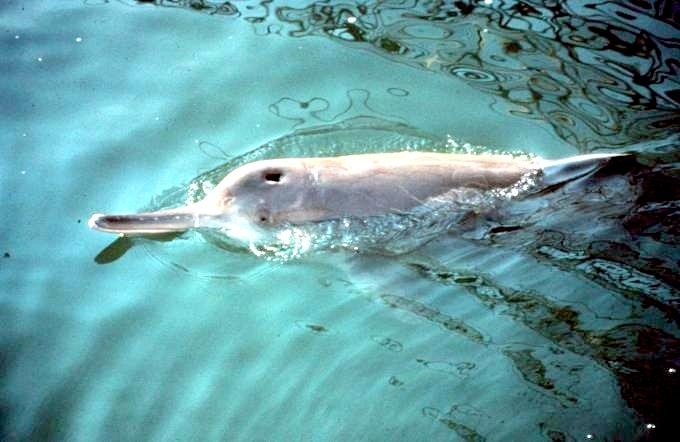 The Baiji Dolphin features a streamlined body that makes it easy for them to swim well but not to exert too much energy. 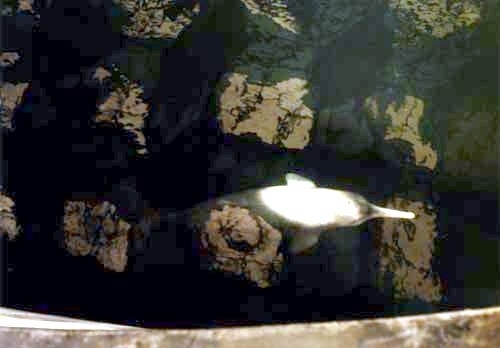 The flippers are round and they have a snout that is turned upward at the end like a beak. The eyes are small and they are sitting higher on the head then for other species. They are a light bluish gray color and have white on the belly. Each side of the mouth may have 30 to 36 teeth and they feature them both on the lower & upper jaw regions. 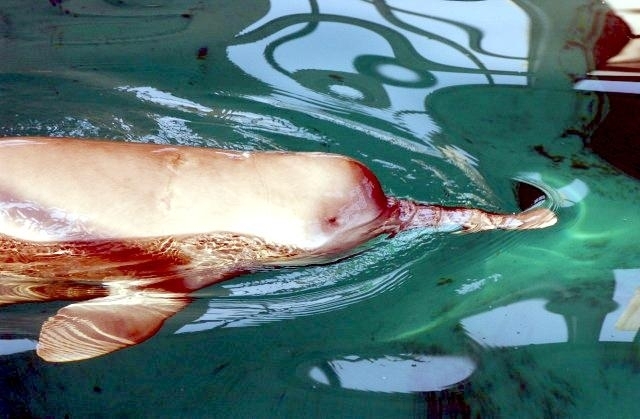 They are one of the few species of dolphins that do not have 2 stomachs. 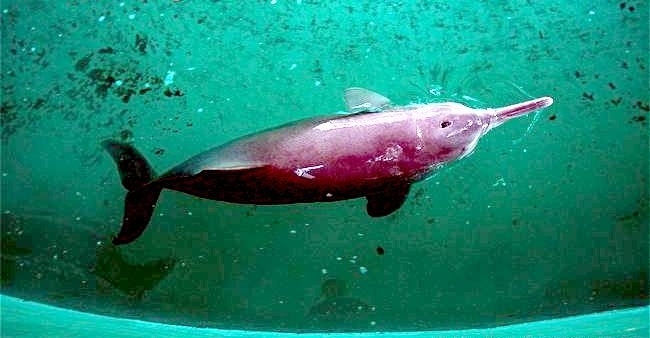 However, the main stomach that they have is divided into 3 chambers. They can be up to 8 feet long and weigh as much as 500 pounds. The females tend to be longer & heavier than the mature males. 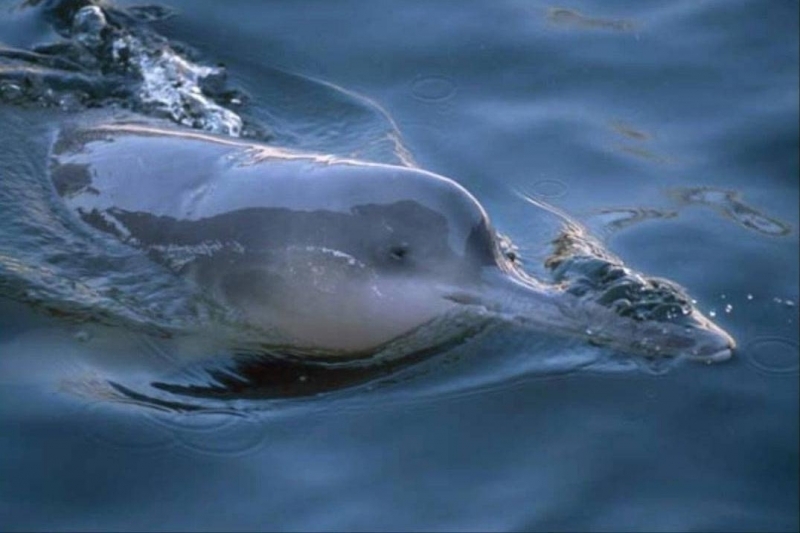 The Baiji Dolphin is one of 4 species of dolphin that can live in freshwater. They don’t have a very diversified habitat which is why it is so important for efforts to be put in place and carried out to help ensure their survival. 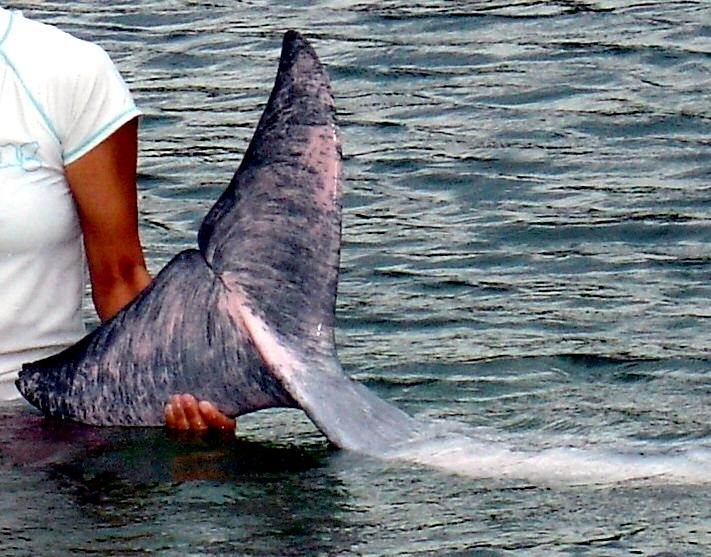 There isn’t much known about the overall behavior of this dolphin in the wild. It is believed that they spend a great deal of time underwater to help with communication & orientation. They also are able to use clicks and whistles for communication. 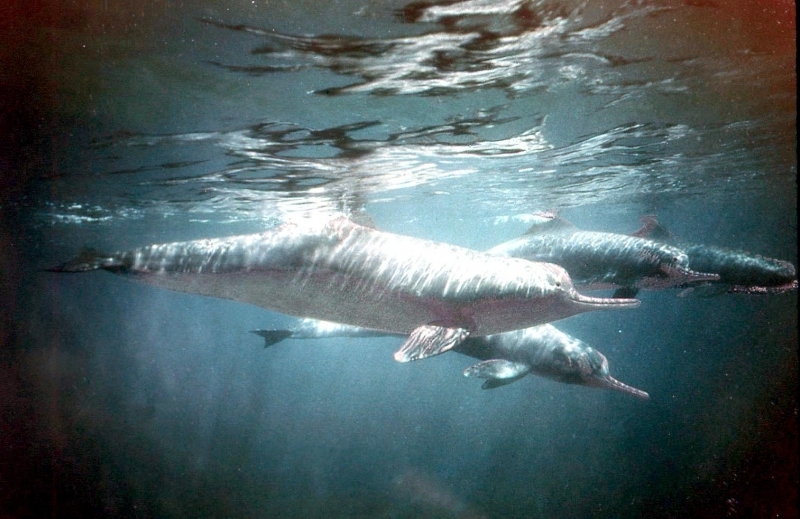 It is believed they don’t live in large pods but rather in pairs of 2 or up to 10. They are social and they seem to form deep bonds with each other. They spend most of their time at night resting in areas that offer them a slow-moving current. 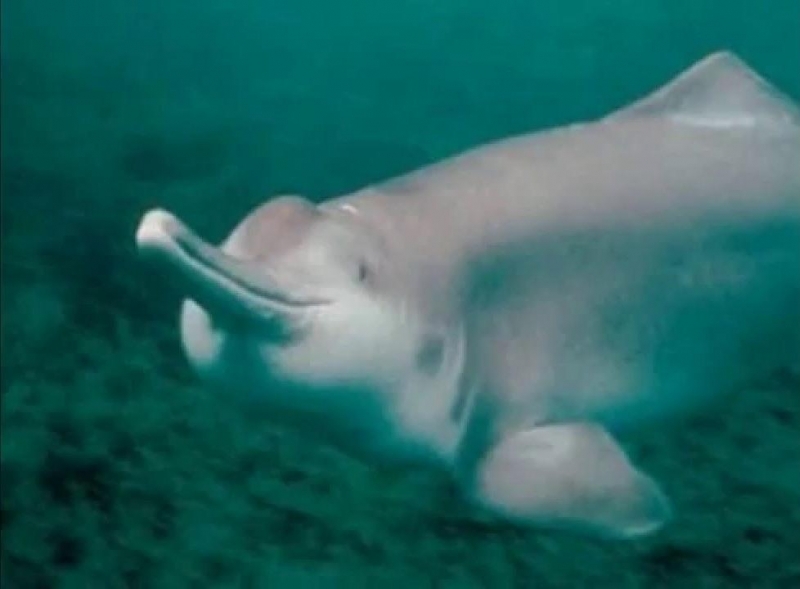 They are known to be shy compared to other species of dolphins. That has always made it hard to observe them at any close range or for long periods of time. 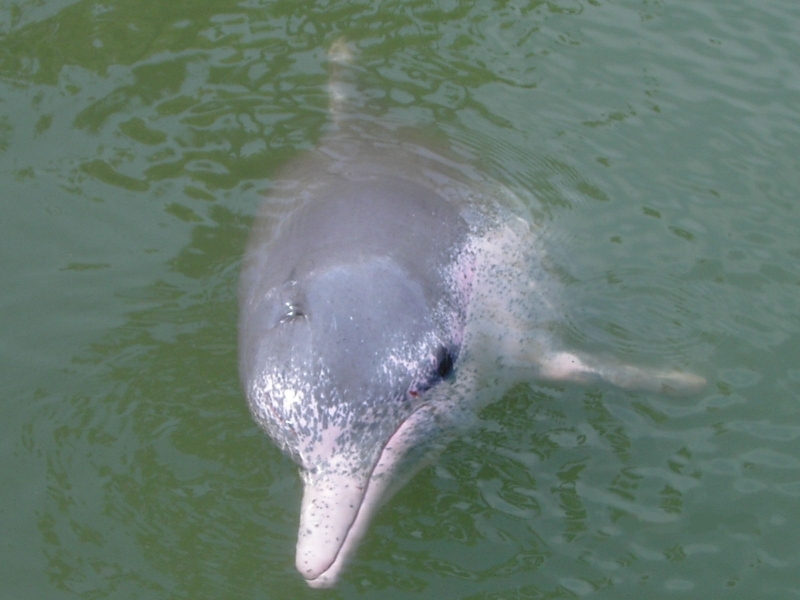 The diet for the Baiji Dolphin mainly consists of various types of fish. Almost all of their feeding efforts will take place during the day. 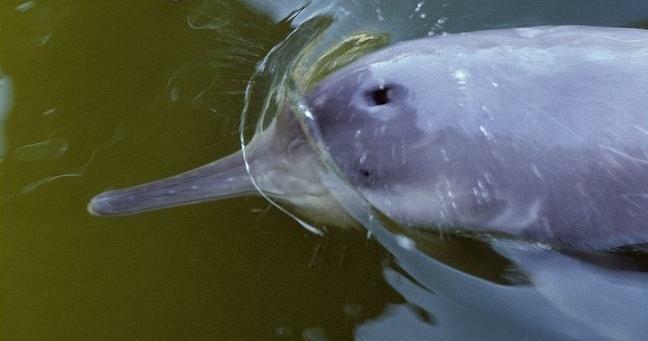 The long beak of the Baiji Dolphin allows them to find food sources at the bottom of the muddy waters. They only dive for about 10 to 20 seconds at a time. 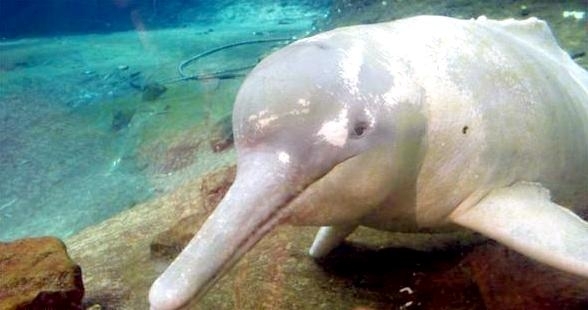 They don’t have very good vision but they make up for it with their echolocation to help them find food in the water. 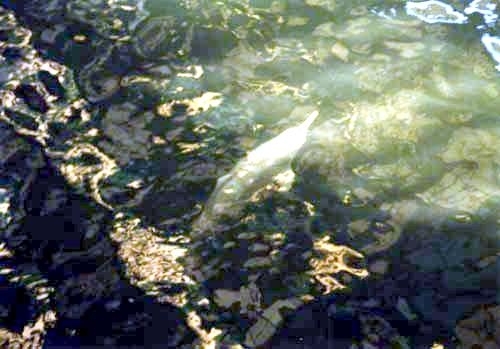 They tend to find their food sources mainly around the shallow water locations. These tend to be located around the mouth of the tributaries of the river or close to the sand bank locations. 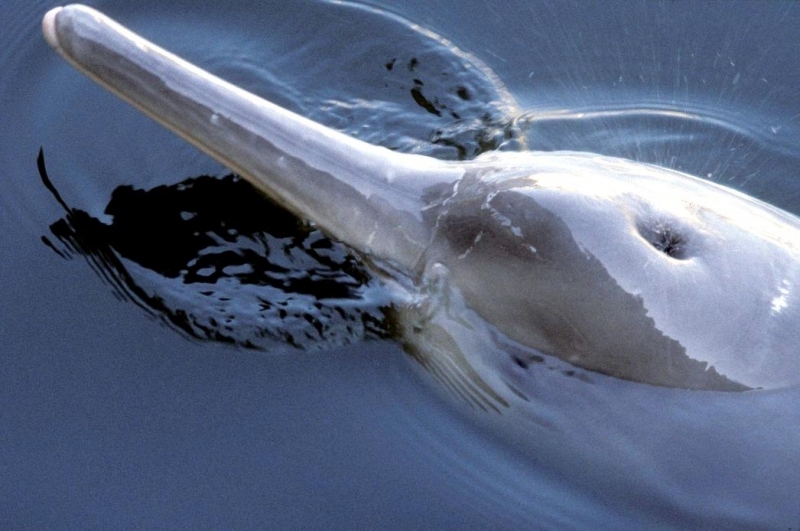 There is little really known about the reproduction efforts of these dolphins in the wild. It is believed that they mate any time from the first half of the year. It takes from 10 to 11 months after mating for the calf to arrive. They may be up to 3 feet long when they are born. The average age for mating to begin ranges from 4 to 6 years. The mothers will keep the calves very close to them and forge a powerful bond. There isn’t any information about how long the young drank milk from her body before being weaned. It is believed to be from 12 to 18 months though as that is the standard time frame for all of the other species of dolphins. 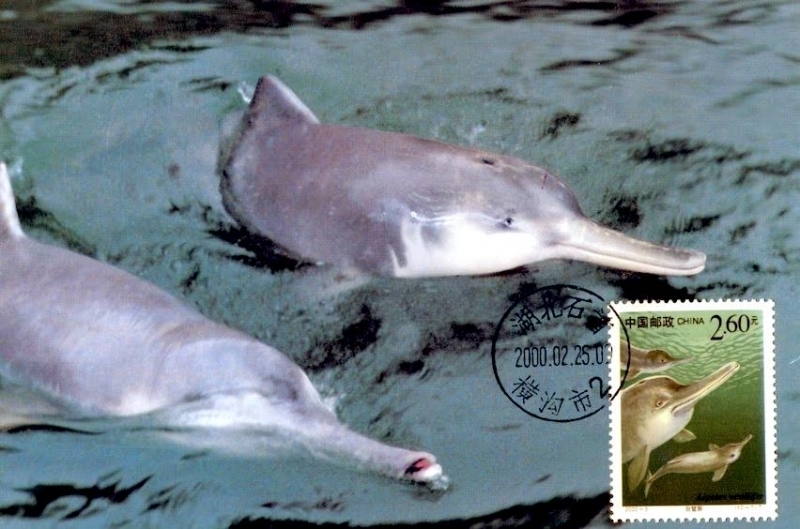 The number of Baiji Dolphins in China significantly declined due to heavily industrialization efforts. 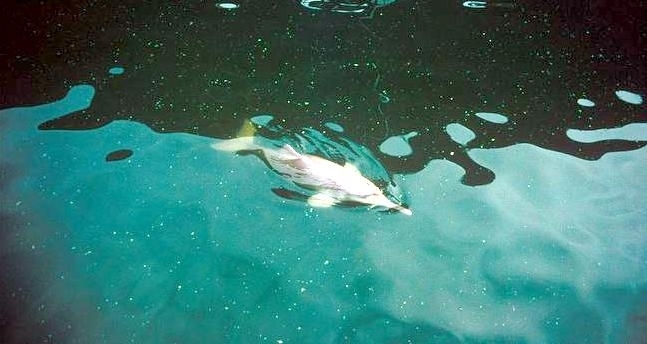 The river where these dolphins live began being used for commercial fishing, hydroelectricity to be produced and for transportation needs. 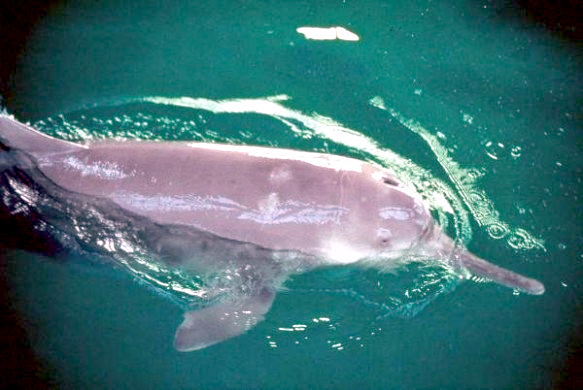 In spite of the conservation efforts that were put into motion, they haven’t been a success. 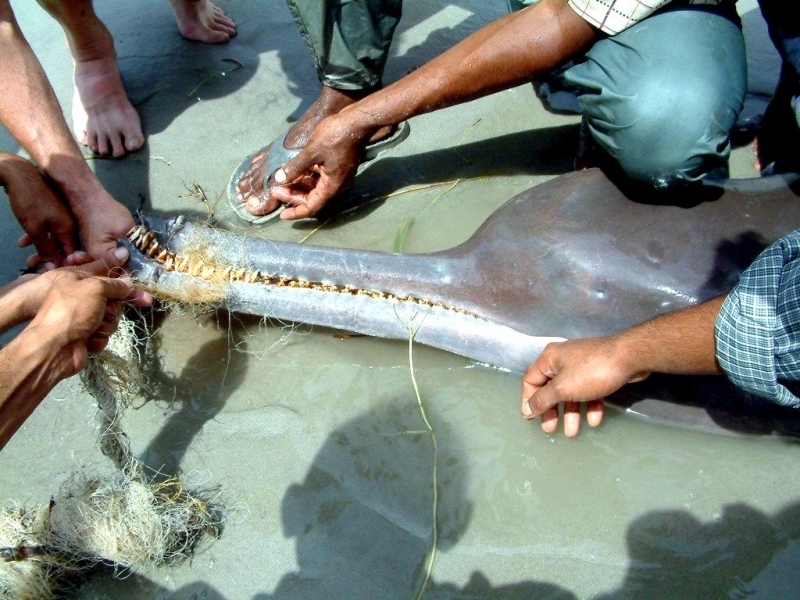 Commercial fishing efforts resulted in large numbers of them being captured & killed. They were either too severely injured in the nets to survive or the drown as they couldn’t surface for air. 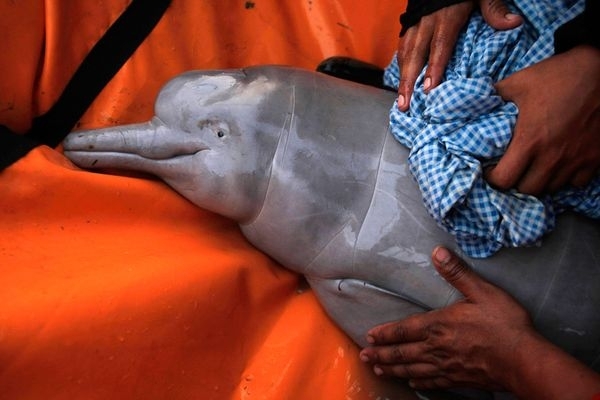 Other accidents were the result of these dolphins coming into contact with the propellers of boats in the water. 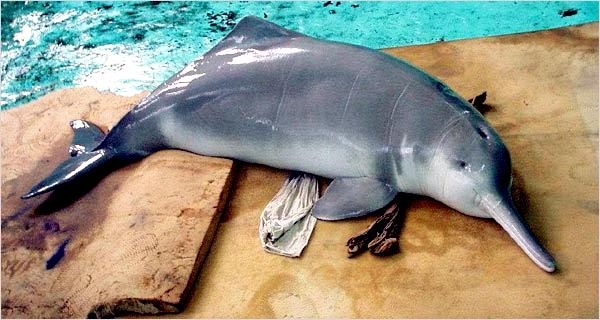 This dolphin is also one that was hunted heavily for the meat it offered as well as the flesh to be used as bait for a variety of fishing operations. 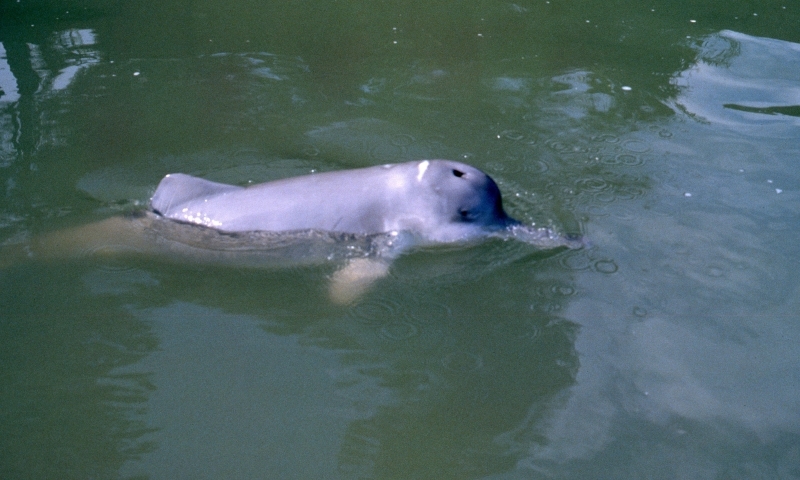 Legal efforts by China were implemented in 1975 to protect the Baiji Dolphins. However, problems with heavy pollution in this body of water made it extremely hard for the plans to re-introduce dolphins to the location. 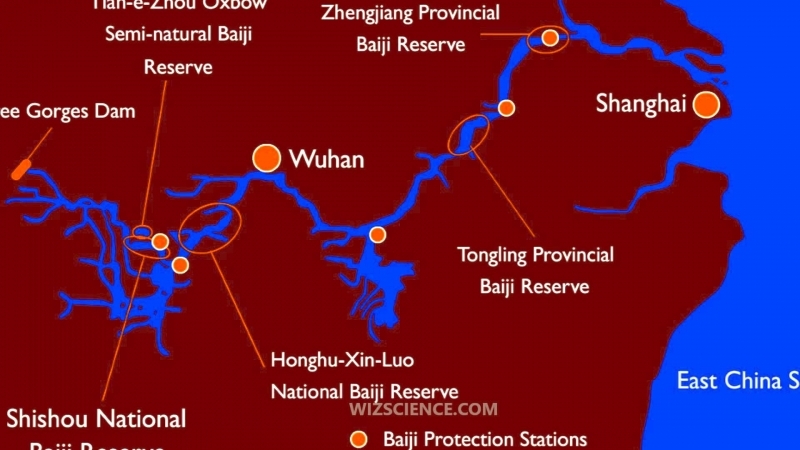 In 1992, part of the Yangtze River was preserved for them but it was too late for them to rebound due to the low numbers they had already been depleted to. 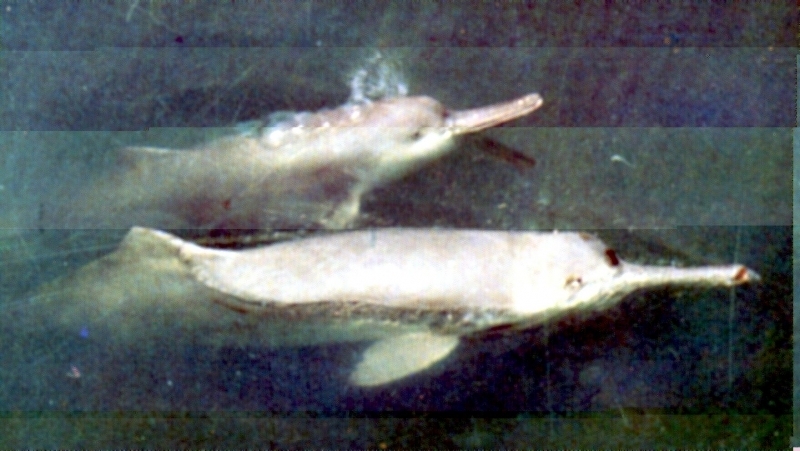 As of 2006, no more Baiji Dolphins have been seen. They are now classified as being functionally extinct. 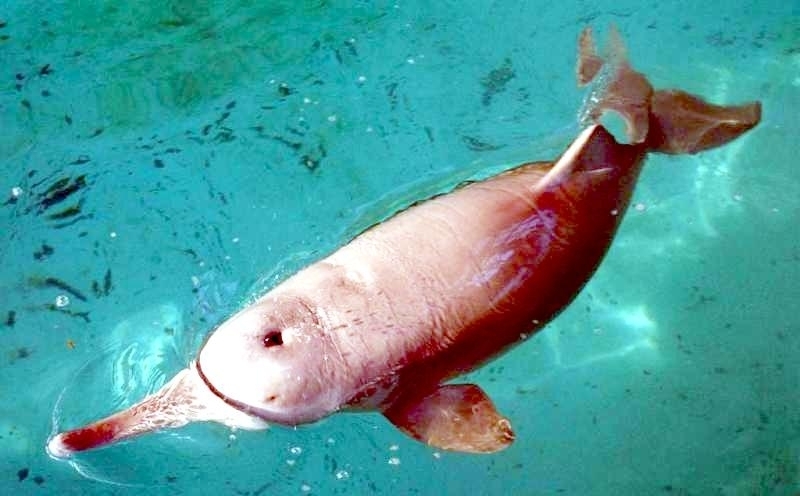 This is the first aquatic mammal to be added to that list since the 1950’s when the Caribbean Monk Seal and the Japanese Sea Lion were identified with the same fate. 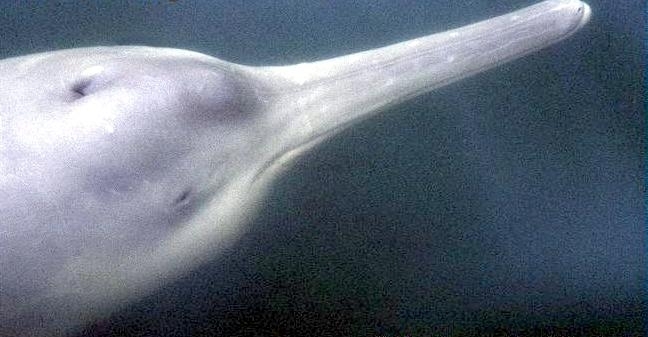 In the later part of 2007, a man in China reported that he had seen what he thought was a Baiji Dolphin. He even created a video recording of it swimming in the Yangtze River. The results of evaluating it are believed to be evidence that there are some of them remaining. However, there isn’t enough evidence of a population to believe that any conservation at this efforts would be sufficient enough to prevent the population from eventual extinction. There are some plans in the works to identify those that do remain in the wild and to relocate them to preserves. They were thought to have lived up to 25 years. 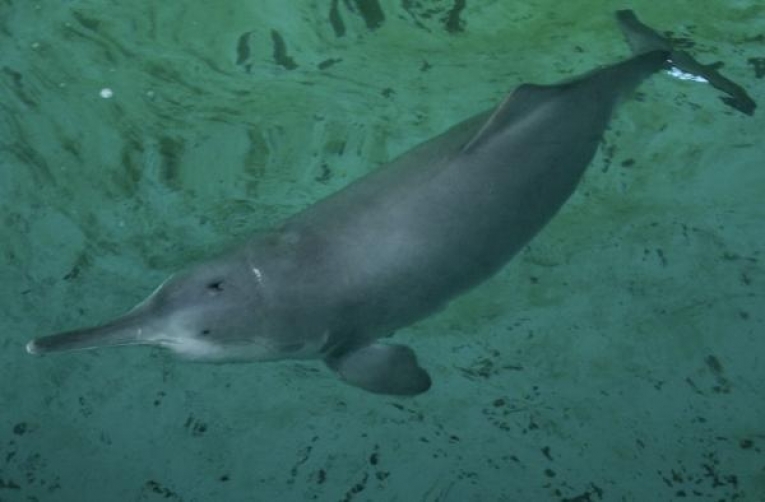 A confirmed sighting of a Baiji Dolphin just months after it was declared “extinct” has prompted scientists to launch an against-all-odds plan to save the last of the rare Chinese river dwellers. A team of marine-life scholars led by Dr. Wang Ding, a scientist at China’s Institute of Hydro-biology, examined digital video footage recently taken along the eastern section of the Yangtze River. 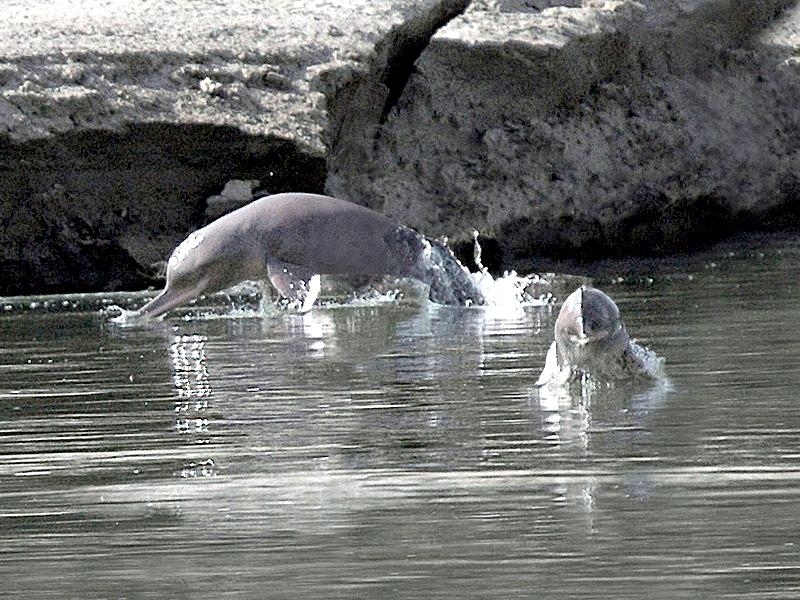 The video provides evidence of the survival of the Baiji the team confirmed. 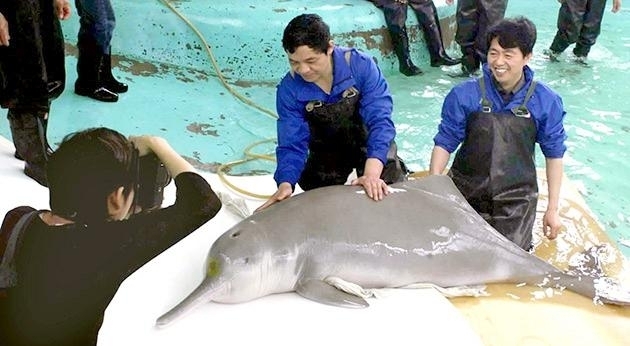 Now experts at the institute are studying the feasibility of transporting the survivors to a natural preserve in a Noah’s Ark-like operation, said Wang, one of China’s leading authorities on the nearly decimated species. 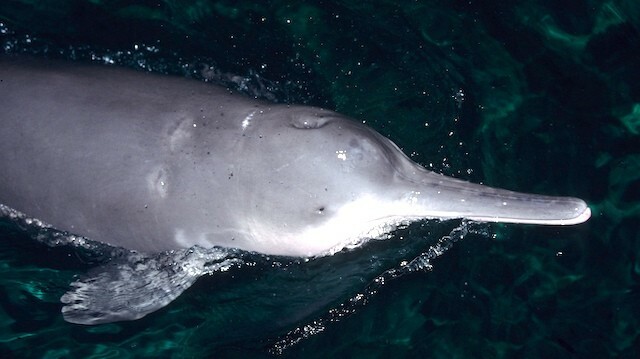 The sighting provides a small ray of hope for scientists who had previously given up on the Baiji. 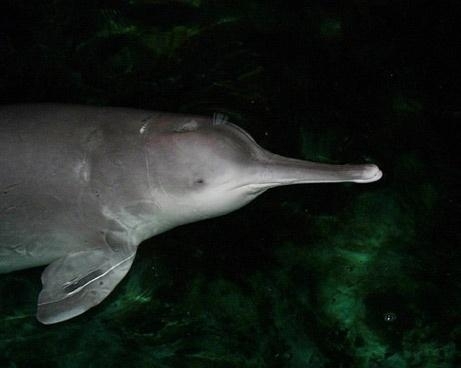 A six-nation coalition of scientists, including Wang, spent five weeks late last year using high-performance optical instruments and underwater microphones to search the Yangtze, the Baiji’s sole habitat, for any signs of the species. 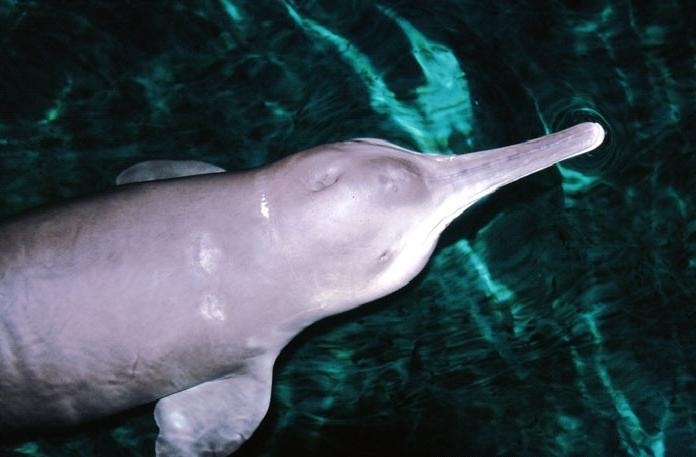 “The Baiji is functionally extinct,” concluded Dr. August Pfluger, head of the Swiss-based baiji.org foundation and co-organizer of the 2,200-mile (3,500-kilometer) expedition at the time. 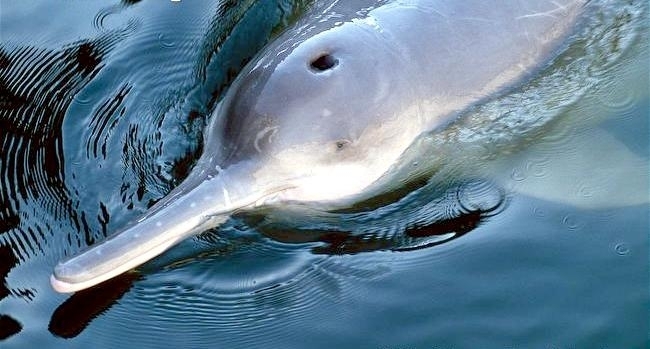 “It is a tragedy, a loss not only for China, but for the entire world.” According to Wang, Baiji dolphins apparently lived and flourished in the Yangtze for more than 19 million years before humans arrived on the scene. Burt Mueller is a geo-chemist at the Swiss Federal Institute of Aquatic Science and Technology who was also part of the 2006 Baiji expedition. 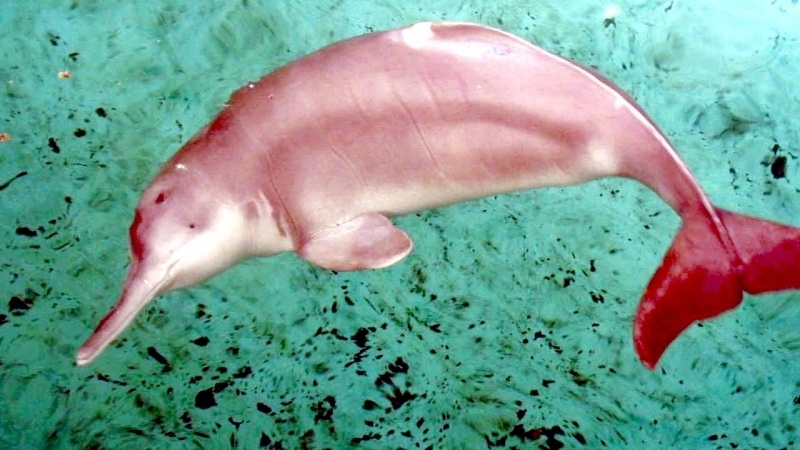 “The disappearance and extinction of such highly evolved endemic mammals as the white Yangtze River Dolphin “Baiji”, the Finless Porpoise or the Chinese Sturgeon from the Yangtze River can be attributed to a multitude of circumstances, such as the deterioration and loss of their natural habitats, over-fishing of the river, the heavy freight ship traffic and others,” Mueller said.